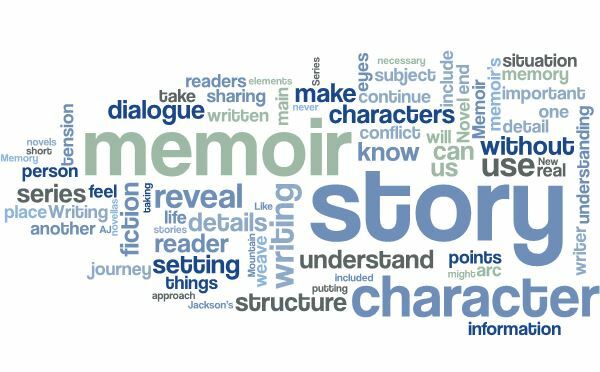 In my ongoing series, Writing a Memoir like a Novel, I share what I know about writing fiction as it applies to memoir. I hadn’t tried my hand at a memoir until I took on the project that became This New Mountain, but I have written short stories, novellas and novels. You might understand, then, why my approach to writing AJ Jackson’s true story (of a feisty private detective and grandmother) included the elements that make up a work of fiction. Apply fiction techniques to your “built-in” characters to bring your story, and the real-life people who inhabit it, to life. Physical description doesn’t tell us who a person is — we understand others by their actions and the choices they make. Weave in details a little at a time to reveal the characters as the story unfolds. By sharing the story behind the story, the reader gains an understanding of the why of things. Show how a person deals with change to shed light on that person’s character. Reveal the familiar, those common things we all relate to, to get the reader emotionally involved. Other details, such as relationships, ambition, and personal flaws, add layers and reveal character. Creating memorable settings – without unnecessary detail – strengthens the writing and draws the reader into the story. Present the setting through the eyes of your character. Determine why a particular place is important to the character and how she feels about it. Use historical research to take you beyond the limits of your own memory. Make your story immediate and real to the reader by using just enough sensory detail. Dialogue can reveal motives, character, conflict, setting, and important information, and can create tension, suspense, and movement through scenes. While staying true to your memory, produce realistic dialogue by following certain conventions: use contractions; don’t overuse names; avoid niceties and information dumps; use dialect and vernacular sparingly; beware exclamation points (!!! ); structure paragraphs and use tags/beats to make it clear who is speaking. Memoir readers don’t expect action-packed openings, but the first few pages should still compel us to continue on and immerse ourselves in the story. A good opening will include: a character we know and understand; a situation that presents tension; an indication of the larger story problem or conflict; the general tone of the story (such as light-hearted or serious). Take readers to a place where they feel what you felt without telling them how to feel. Write an “eye memoir” versus an “I memoir.” Step back from who you are now as the writer and return to the perspective of who you were during the period of your memoir. In the end, your memoir is less about what happened and more about the importance of your journey, what you brought into it and how the journey changed you. A story arc moves the main character (you or the subject of the memoir) from one situation to another, one state of being to another. Without this structure and focus, the memoir becomes a disconnected, chaotic jumble. Knowing and understanding your story arc – the beginning-middle-end structure – keeps the writer focused on what the memoir is about and acts as a guide to know what to include and what to leave out, as well as what needs detailing and what can be touched on through summary. In the months ahead, I’ll be posting more in the Writing a Memoir Like a Novel series to include pacing, scene structure, and passive voice. If there is a specific topic you’d like me to address in a future post, please leave a comment. This entry was posted in Writing a Memoir and tagged AJ Jackson, goals of a memoir, This New Mountain, writing advice, writing the memoir by Cate Macabe. Bookmark the permalink. You’re welcome! I hope you find it useful. Thank you for the kind words (and the follow). I hope the article, and the series, helps you in your writing endeavors. This is everything in a nutshell. I’ll be using this post as a checklist for my upcoming memoir. I also re-blogged it. Thank you for sharing this great post! You’re welcome! Using elements of fiction is a huge help in my own nonfiction, I hope the post helps you with yours as well. Thanks for stopping by.